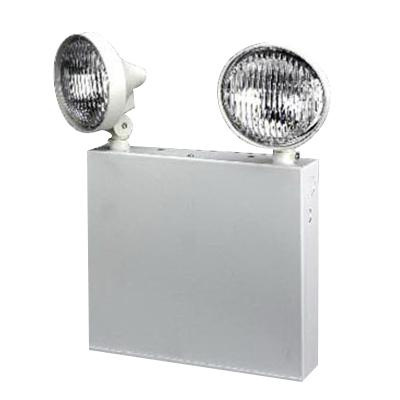 Encore Wire 12EB Series 2-Head emergency light accommodates two 12-Watt wedge based tungsten lamps. It features steel housing and polymetric lamp head. Lamp has voltage rating of 120/277-Volt AC. Lamp has current rating of 40-Milli-Amps at 120-Volts and 23-Milli-Amps at 277-Volts. It has input power rating of 4.4-Watts at 120-Volts as well as 6.7-Watts at 277-Volts and output power rating of 27-Watts. It features sealed lead-calcium battery that offers 90 mins of run time. It measures 2-1/2-Inch x 13-3/4-Inch x 9-1/2-Inch. Emergency light is universal J-box mountable. Emergency light is UL listed and NEC certified.